It's inevitable that you're going to burn the daylight hours of your vacation doing an assortment of exciting and entertaining things, but there's always that issue of being too tired to do anything once the night falls. You may find yourself surprised as to what activities you're missing out on just by staying in for the evening, especially in a high energy local such as Panama. Within this tropical country, there thrives a nightlife that welcomes all walks of life and offers the promise of a continuous and guaranteed good time. The heart of any nightlife is within the nightclubs, bars, and lounges that occupy it. Panama's nightlife is focused within three separate districts known as Casco Viejo, Calzada Amado, and the Call Uruguay. Each district houses its own assortment of nightlife venues, each providing a specific and unique experience that matches the feel of the district itself. Despite where you end up, though, you're going to get a feel for Panama's desire to keep its locals and tourists entertained throughout the evening hours. Within the Casco Viejo district, found on the outskirts of Panama City, is where you'll find the country's most prolific night clubs. With a heavy emphasis on jazz, you may find yourself passing through a few local pubs where the soothing sounds of jazz may intoxicate you to a point of aural ecstasy. Here in Casco Viejo you'll also find yourself in range of a slew of eclectic cuisines from all over the world. If local flavors are beyond your taste tolerance, you'll be able to fall back on potentially more familiar dishes. If you can't find what you're looking for at Casco Viejo, you may want to try your luck at the toned down Calzada Amador district. Lined with contemporary street-side cafes and bars that carry their own theme, Calzada Amador is the perfect place to be when you're looking for something a bit mellower. Offering an ocean view that can only be described as picturesque, you'll find yourself loosing track of time as you kick back and enjoy the luxuries of a refreshing beverage and the revitalizing sun. The third and final district, Calle Uruguay, is the hot spot for a more energized crowd. 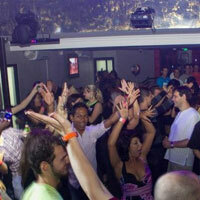 Attracting youngsters from near and far, Calle Uruguay is the place to be if you're looking to party the night away. Be sure to pack your dancing shoes, as you'll easily find yourself sucked into this local's eclectic dance club scene. Even the bars carry a more party-like atmosphere to them, easily separating them from bars in the other districts. Life performances are abundant and ensure that even the streets get a dose of the nightly party. Panama's nightlife can only be described one way – diverse. You'll get a taste of every type of atmosphere and environment depending on where you are. No matter what, though, you'll always wind up having a good time.